Luxury bathroom designs for businesses and home improvement projects. 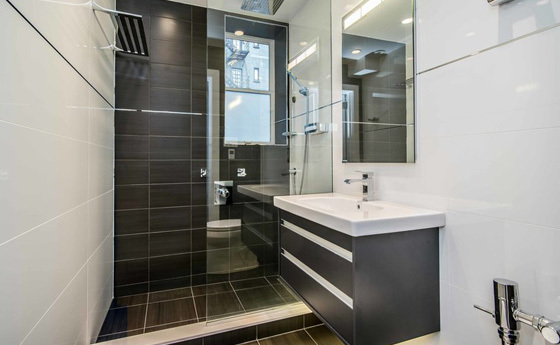 Invest in a modern bathroom design with stunning interior design work and custom cabinetry! Bathrooms are some of the most frequently remodeled rooms in the house, so why not invest in a luxury bathroom design that you’ll love for years to come? At RDGi, our interior designers have more than 21 years of experience transforming ordinary washrooms into beautiful, relaxing spaces. Book your consultation with us today to see why we’re the best interior design team in Florida, North Carolina, Chicago, and Atlanta! At RDGi, our interior designers are passionate about transforming bathrooms into a spa-like oasis, and we are constantly perfecting our craft with the latest trends in luxury bathroom design. Our bathroom interior design team has more than 21 years of experience recreating spaces with stunning bathroom features and tasteful decor, and we’d be honored to take on your next business remodel or home improvement project. Set up a free consultation with us today, or view our gallery for modern bathroom design ideas! As your bathroom interior designer, we’ll keep your unique vision at the forefront while we create your rustic, classic, or contemporary bathroom design. Our goal is to bring your modern bathroom ideas to life using the finest tools and materials available, and we will stop at nothing to create the luxury bathroom you’ve envisioned. Whether you’re looking to do a complete master suite remodel or are simply contemplating bathroom designs for small spaces, we’ve got you covered with the best bathroom designers, craftsmen, and architects in the area. In addition to our fine bathroom interior design work, we are also pleased to offer handmade custom cabinetry. Nothing can transform a dull bathroom into a luxury retreat like a beautiful vanity with custom bathroom cabinets, and we’ve got the team to make it happen. Select your favorite wood and cabinet stain, and our custom cabinet makers will create stunning bathroom cabinets that compliment your style. Click here to learn more about our handmade cabinet design and building process! Ready to embark on the ultimate bathroom redesign with the help of our experienced interior designers? Contact RDGi to schedule your free consultation in Florida, North Carolina, Chicago, or Atlanta!